The integrity of your network is only as great as the cabling that delivers it and the hardware that protects it. When it’s time to install, upgrade or revitalize your network, you need a premiere low voltage contractor like Alpha Computer Group to demonstrate what a true, quality installation will do to the vitality of your business. With a commitment to the highest quality standards and to staying on the cutting edge of technology, Alpha Computer Group can take care of all your organization’s cabling and communication needs quickly and conveniently. We excel at creating and installing the cabling infrastructure that supports data, multiple voice, video and multimedia systems. We are also very experienced in the installation of various transmission media including copper, fiber optic, twisted pair, cat5, etc. In short, we use our technological expertise and work hand-in-hand with your organization to assess your needs and then design and install the optimum integrated system which meets those needs. We offer expert, affordable communication and security system design, installation, configuration, repair, training, and support services on NYC, and throughout New York State. We have more than 10 years of experience helping businesses become more efficient and control costs by upgrading and integrating communication systems. Whether your NYC business needs to install a new security system, upgrade your communication systems, or create a network that connects to multiple locations, Alpha Computer Group provides cutting edge, highly efficient solutions at competitive prices. Our services typically cost about 30% less than those provided by your cable and phone companies. Since we are also integrator’s who understand Network dynamics and we are also an IT service provider, a customer needs to only contact Alpha Computer Group for all of their IT, Telecom, and Security needs. Our technicians are highly trained and qualified to offer you complete testing, installation and certification of any network wiring project Every technician is industry certified, and has the necessary experience and qualifications to offer you a full manufacturer system warranty on any product in NYC, New York. Here at Alpha Computer Group, we recognize that every customer has different needs. We work hard to tailor every project to the specific customer, ensuring that you get exactly what you need from your network cabling infrastructure in NYC, New York. We strive to create unique relationships with every customer, and our focus is on versatile projects and custom solutions for every client. Alpha Computer Group high standard of IT and phone system service and support can help your NYC, New York business grow smoothly. Contact us today and we can answer your questions about computer help. We also buy and sell used cisco equipment in NYC, NY. We provide data cabling, computer support, network consulting, fiber optic installation, phone service and installation services for NYC including Suffolk County and the Nassau County area. We know how essential security and communication systems are to the efficiency and financial success of a business. That’s why we provide expert, reliable repairs at affordable rates and offer comprehensive technical support 24 hours a day, 7 days a week, 365 days a year. In addition, all of our repairs are backed by a 100% satisfaction guarantee. 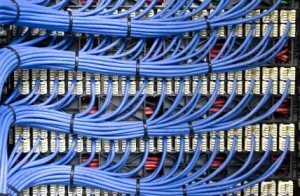 Alpha Computer Group is a NYC structured cabling contractors services, NYC IT Services, NYC Network Integration and our NYC telephone installer services. Our technicians are BICSI certified installers fully versed in data communications, gigabit ethernet-LAN/WAN network integration, fiber optic distribution designs and installations for a wide range of fiber optic network applications. Our customer service department, systems engineers, contracts coordinator and technical support staff have an in-depth knowledge of the telecommunications industry. We work closely with our customers to develop and deliver innovative solutions for the most challenging, business critical requirements. Whether it’s a simple installation of category six cabling (Cat 6) with a few wall jacks, or an entire structured fiber cabling job for a new building, Alpha Computer Group will deliver the best products, practices, and services that you and your business can count on.